How Much Does an 800 Number Cost? It’s More Affordable Than You Think! Starting, running, and growing a business is expensive. Every dollar counts, especially when you’re bootstrapping a startup. Setting up small business phone service is one of those complex and costly tasks every new business owner faces. It’s something you need to do even before you get business cards. Your card needs to display your business’s 1-800 number, of course. 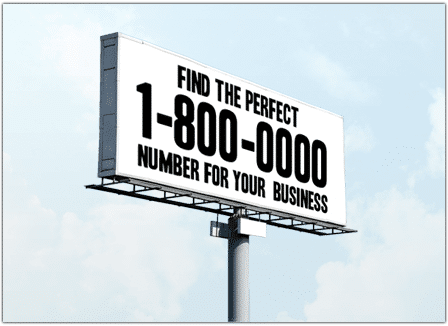 What if getting a business phone system with the perfect 800 number was actually cheaper than getting business cards? And what if it only took you just a few seconds (and a just a few bucks) to set up a professional sounding virtual phone system with the toll free business number of your choice? Now you can! UniTel Voice offers startups and small business owners the perfect phone system solution: a low-cost virtual office phone system with the best 800 number rates in the business. You knew you needed to get a toll free number, but you didn’t know how easy and affordable it could be. Don’t waste any more time—try UniTel Voice today and get the best 800 number service at the best price. 1. UniTel Voice has incredibly low toll free number rates. We offer four different cheap toll free number plans starting at just $9.99/month. No matter what kind of business ower organization you are we make it super easy and affordable to set up a toll free 800 number that can forward to any phone, extension, greeting, or voicemail. There are no setup fees or activation charges. Every plan is month-to-month. You can upgrade or downgrade between plans any time. And there’s no long-term contracts or cancelation fees. Also, it’s important to point out that with UniTel Voice, you own your 800 number. If at any point you want to cancel service with us and port your number to another toll free service provider, you can do so without charge. When you purchase a number from us you’re not renting it. You own your toll free number with no strings attached. 2. UniTel Voice has great 800 number reviews. Our customers love us and we love them back. It’s really fun to serve a market segment of entrepreneurs and small business owners. Our mission is to empower entrepreneurs by giving them the startup tools they need to start, run, and grow their business. And even though we’ve been around since the 1990s we still run our own business like a startup. 3. UniTel Voice offers low-cost services with high-quality features. Don’t let our low-rates give you the wrong impression. We run our service on an industry-leading network to ensure our systems keep you connected no matter where you go or what device you use. We understand how important your phone service is to your business. So no matter what plan you choose with UniTel Voice – you get access to our world-class customer support team based right here in Northern Illinois. We’ll help you get set up and make sure you get the most out of your cloud-based business phone service.